I’ve previously blogged here about the festival circuit of Lebanese Qatari short film Super.Full by Niam Itani on which I had the honour of a cameo appearance. The following has been originally written for the Doha Film Institute website. On 11 June, films by Lebanese Niam Itani and Ramy el Gabry from Egypt were short-listed into a group of 50 from 15,000 submissions in the ‘Your Film Festival’. In an attempt to find the world’s best storytellers, YouTube and Emirates, in partnership with La Biennale di Venezia (Venice Film Festival) and Scott Free, have launched the Your Film Festival competition. Entries from 160 countries were cut down to 50 semi-finalists. Just 10 films are in the final including those by Niam and Ramy. Around three million people voted. The results were announced on 1 August. 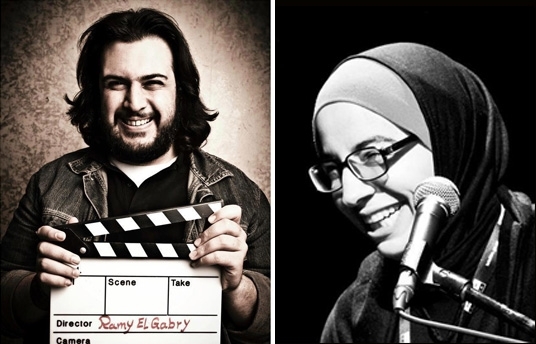 Ramy’s “This Time” and “Super.Full” (supported by Doha Film Institute) by Niam – the only woman director in the finals – are the only films from the Mena region to get so far in the contest. What happens to the finalists now? What are the prizes? Ramy, 25, kept his spirits high during the competition. “I am very happy for both us and it’s a big achievement already to make it to one of the most prestigious film festivals in the world. It will hopefully support us with our future projects and make producers more attentive to the stories we want to tell.” he said.